Vice President Joe Biden likes to cheer "Osama Bin Laden is Dead and GM is Alive!" But what he doesn't tell you is that since the illegal GM bankruptcy, President Barack Obama has been hard at work as the "Job-Exporter-in-Chief" moving thousands of high paying, middle-class, NON-UNION jobs to China. 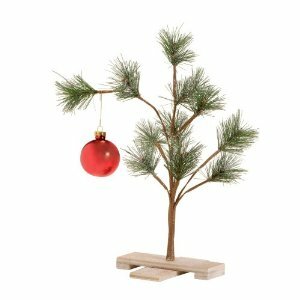 GM, the shining star on top of the Obama Re-Election "Winter Holiday Tree", is leaving town quickly and what's left is circling the drain. In talking with former GM employees, I learned Obama has been sending non-union jobs like product design, engineering and drafting jobs to China. 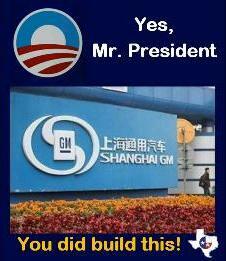 GM is investing heavily in China, with your taxpayer dollars. And, as you will see below, GM may well be headed right back into the Southern District of New York Bankruptcy Court. Last week, Obama wanted everyone to think he made a gaffe when he said he wanted to "see us export more jobs, uh... export more products." He then stuttered for a second and then smoothly said, as if rehearsed, "Excuse me. I,I,I was channeling my opponent for a second." But the real truth, Obama is at war with middle-class, NON-UNION jobs in America. He is shutting them down wherever he can and now we see he is actually exporting them to China. Take note of the picture at the 50 second mark in the video (and shown below). This picture shows a 65,000 sq. ft. China Technology Center under construction in China and set to open later this fall. According to GM's website, "The 65,000-square-meter ATC will serve as the home of four key GM technical and design organizations: the China Science Lab, Vehicle Engineering Lab, Advanced Powertrain Engineering Lab and Advanced Design Center. When complete it will include 62 test labs and nine research labs, and have more than 300 employees, including engineers, designers, researchers and technicians." One must wonder how many of those 300 jobs used to be high-paying, non-union, American jobs. If Biden is right that GM is alive, many in America believe that the US portion of GM is on life support at best. With questions about the bankruptcy process GM went through, including a lawsuit I found on BankruptcyLawReview.com that could potentially completely unravel the GM bankruptcy, GM could be anything but alive. I will report more deeply on this in a future story about GM. Of course, it's not just jobs Obama is exporting to China. There is also a huge technology shipment heading that way. Last week, Investors Business Daily reported abuot GM and China sataing, "Government Motors, whose international headquarters is in Shanghai, recently announced it would be developing an electric-car platform with its longtime Chinese partner, Shanghai Automotive Industrial Corp. (SAIC), giving away technology developed at taxpayer expense. Obama has no problem with that either." So, is GM really the best thing Obama has done for America? Or have his illegal actions in the bankruptcy courts and the unethical practice of using US taxpayer dollars to fund job creation and investment in China left us holding a brown paper bag full of really smelly stuff? This is Rob Peterson from General Motors Communications. Doing business in China requires every foreign manufacturer to have a joint-venture with a Chinese company. GM has strategic partnerships in 30 countries, including China, which positions the GM brand as the leading automaker in the world’s largest and fastest-growing automotive markets - success other auto manufacturers like Ford, Toyota and Honda are feverishly attempting to duplicate. GM has not used any U.S. government bailout money to build a manufacturing footprint in China. Nor have we shared any of our first generation electric vehicle technology developed mostly before the bailout (Volt develoment began 3 years prior to the bailout) with our partners. Since bankruptcy, GM has announced investments at 30 U.S. facilities totaling more than $7.3 billion, which created or retained more than 18,600 jobs. Factcheck.org has also looked into this and found the notion that GM was becoming a Chinese company to be false (http://www.factcheck.org/2012/06/is-gm-becoming-china-motors/). Thank you for your reply from General Motors. I understand GM's interest in selling cars world-wide and the need to make cars in some of these countries. As for your comment about GM not becoming a Chinese company, I did not make that assertion. The purpose of this article, and I welcome your response to this, was to illustrate a calculated plan to use American taxpayer dollars to move highly paid, middle-class, non-union jobs to China. Clearly the Technology Center opening this year is an example of this. You say you haven't used any U.S. Government bailout funds to expand in China. But how can that be true? GM would not have any funds were it not for the bailout money which has not been paid back to the taxpayers as of this date. So, if you are spending dollars in China, and have not paid back the taxpayers, you are effectively using taxpayer dollars in this enterprise. It must be recognized that GM is not a "normal company". It is a company funded now on the backs of the American taxpayer. As such, they deserve, as your largest stockholder group, every advantage that can be given to creating American jobs. You stated your $7.3 billion investment created or retained more than 18,600 jobs - how many did it create. Retained or "saved" jobs are plucked from air numbers that have no basis in fact. They are a tool the Obama Administration created to keep their failed economic policies from looking so poorly. How many NEW jobs, in the United States of America. has GM created with taxpayer dollars?